A range of terracotta fish caves & fish tubes for breeding fish & fish hides. A fish cave or pleco cave is a small terracotta tube which has one open-end (for entry) and the other end is sealed (for protection). 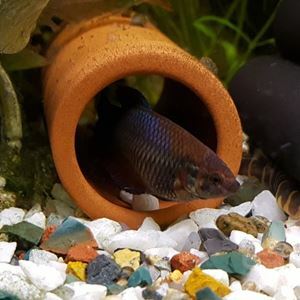 A fish cave is ideal for breeding fish as it provides a secure place where smaller fish can lay their eggs in safety. A fish tube is open at both ends for use as a fish hide or retreat. Made from natural terracotta which is inert and will not affect the fish or the water, their weight ensures that they remain on the bottom of your fish tank or garden pond. 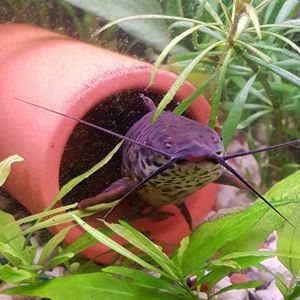 Available in several sizes from 3cm to 6.5cm internal diameter & from 10 cm to 17cm in length (or call for bespoke sizes for all your tropical fish).